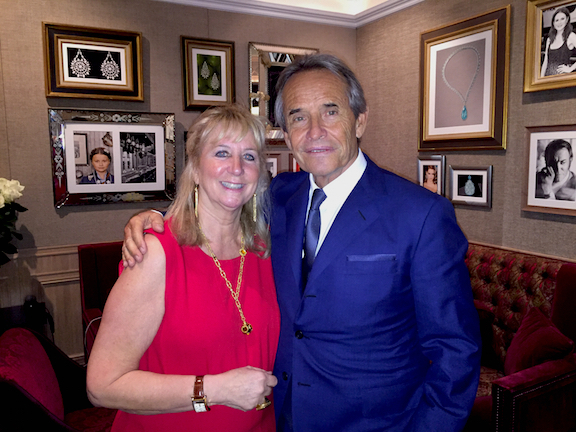 Being a car lover, I was thrilled when the opportunity arose not too long ago to interview the legendary Jacky Ickx. The 72-year-old racer is one of the finest drivers of all time. In addition to winning the 24 Hours of Le Mans six times, he also achieved eight wins and 25 podium finishes in Formula One. He was also a motorcycle racer, an endurance racer and a rally driver. 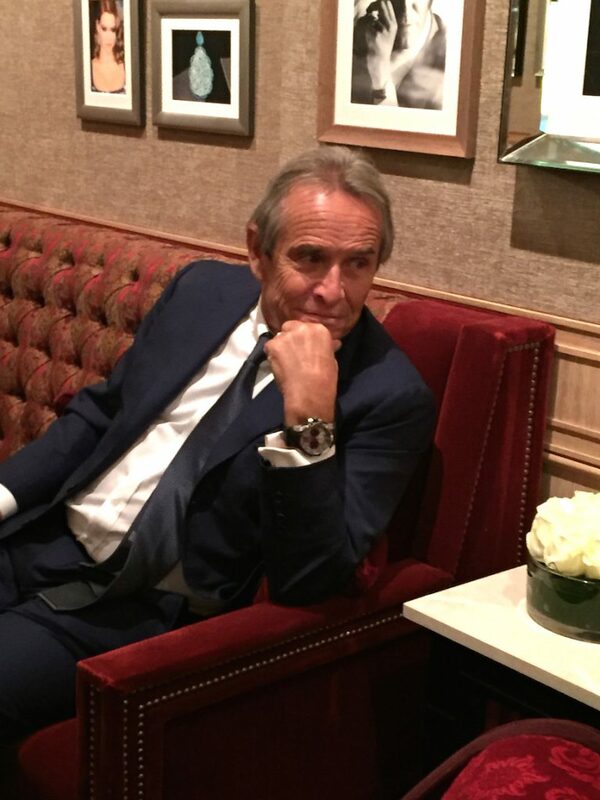 Today, he is a Chopard brand ambassador, as well — a perfect fit for the brand that has an incredible tie in with Mlle Miglia and that has created six Jacky Ickx watch editions. Genuinely good natured, Ickx recalls his past with great fondness, sharing endless stories with me. Q: Looking back on your career, what was the highlight? Q: Was safety ever an issue for you? 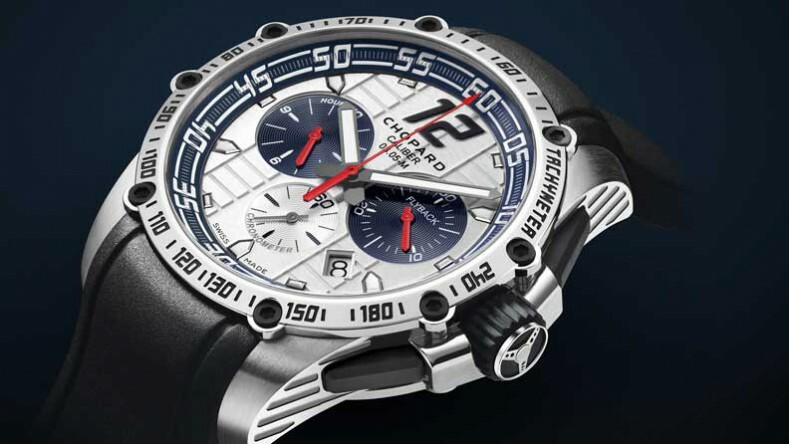 Chopard Superfast Chrono Jacky Ickx watch. Q: Were you highly competitive? Q: Did you always want to be a racer? Roberta Naas, founder of ATimelyPerspective.com, with Jacky Ickx. Q: How did you come to team up with Chopard?